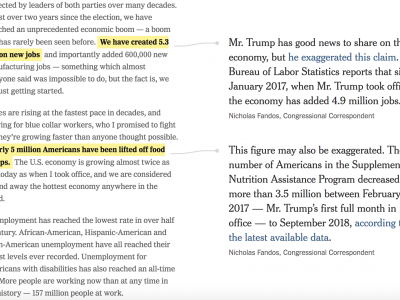 This new interactive by the Washington Post tracks the evolution of the presidential vocabulary across all recent State of the Union speeches. The result is an interesting list of all the “new” words pronounced by each president. The list has also some nice little features: you can filter words by type/theme or hover on them to reveal the full sentence.